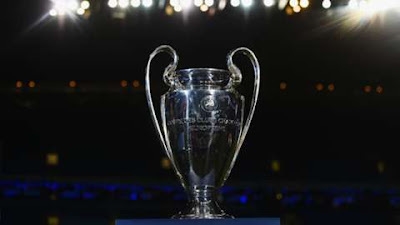 It was mixed fortunes for English teams as the group stage of the UEFA Champions League Kicked off. Arsenal had to fight hard on Tuesday to salvage a point after PSG went ahead in the 42nd minute of the game through and Edinson Cavani strike. It was not until the 77th minute that Arsenal got their first shot on goal, the rebound from which Alexis Sanchez put the Gunners level. Both sides could easily have won the match after missing series of chances. The game between Manchester City and Borussia M'gladbach was postponed to Wesnesday due to heavy rainfall. Nigeria's Kelechi Iheanacho scored the fourth goal to open his Champions league record after Aguero netted a hat trick to ensure an easy victory for the Citizens. Leicester City, on their UCL debut put aside their poor start to the Premier league season to beat Club Brugge 3 goals to nothing in Belgium. Albrighton opened the scoring in the 5th minute while Riyad Mahrez scored the 2nd in the 29th minute. After the break Mahrez scored again from the penalty spot to ensure they secured all 3 points. Tothenham however, were unable to stop a rejuvenated Monaco side who seemed to be on a mission. First half goals from Silver and Lemar ensured Monace defeated Spurs despite a consolation goal by Toby Alderwiereld. Elsewhere, Barcelona were in superd form as they decimated Celtic 7 goals to nothing with Lionel Messi scoring a hat trick. Similarly, Bayern Munich beat FC Rostov 5-0, while Borussia Dortmund scored six goals away from home as they beat Legia War 6-0. Real Madrid had to come from behind to beat Sporting 2-1. Cristiano Ronaldo scored the equalizer from a free kick.